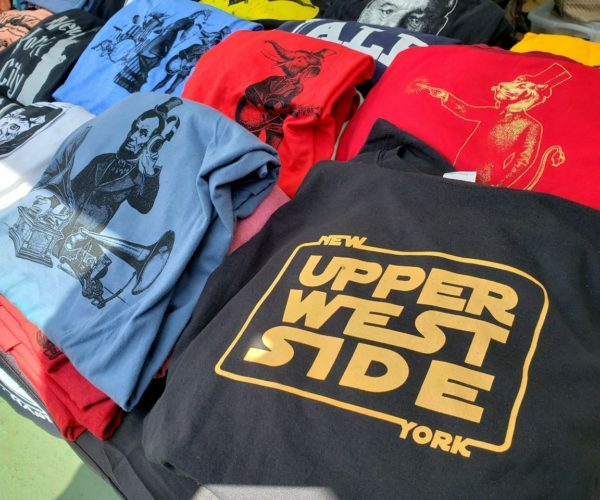 Grand Bazaar NYC - NYC’s biggest curated weekly market. Grand Bazaar NYC is the largest weekly curated market in New York City. It’s open year-round, with over 43,000 square feet of indoor and outdoor space, and during peak season over 200 vendors set-up shop. The Grand Bazaar NYC not only provides much need affordable retail space for local artisans and dealers, but profits benefit four local public schools (4,000+ children), funding enrichment programs and classroom essentials. * Stay tuned for when and what special events are happening. Subscribe here. The Grand Bazaar NYC is big, original, diverse, curated - just like the city it calls home. From the hand made to the hand-picked, find every Sunday all one-of-a-kind art, fashion, vintage, collectibles, jewelry, antiques, global treasures and furniture you can't find anywhere else. A wide array of artisanal and international treats make the shopping excursion complete! and artisanal food purveyors in keeping our city creative & authentic!